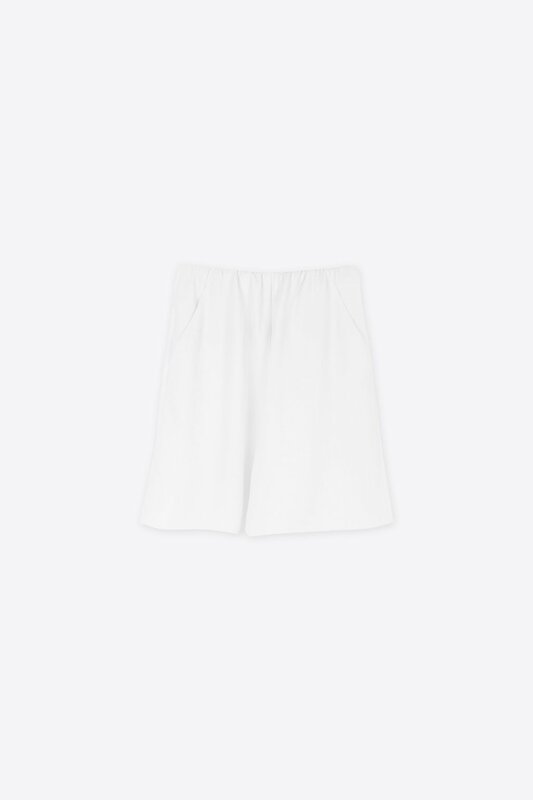 Crafted from a crepe fabric with a satin-like interior, these shorts are elegant and refined. The elastic waist provides comfort while the luxurious fabric and flowy silhouette give these piece a sophisticated vibe. Pair with a blouse and heeled sandals for an effortlessly feminine summertime look.